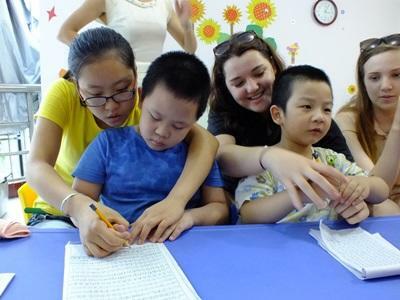 As a Care volunteer in China with Projects Abroad, you will be able to make a positive impact on children’s lives and play a significant role in relieving the workload of the local staff. All volunteers are welcome, and you do not need any previous qualifications or experience to volunteer on most of our Care projects in China. Whether you are a gap year student or a professional on a career break all you need is energy and enthusiasm. You will also add to the children’s quality of life, not only through the development of their social skills, but also through exposing them to new cultures and ideas. Local staff will also welcome any ideas you have for new games and activities that will brighten the children’s day. Care volunteers in China will likely be asked to help with a wide range of activities depending on the age group and needs of those you are working with. You may be required to help the staff with basic care duties at certain times of the day, but there will be other times when the work is less structured and you can help by simply playing with the children or introducing creative games and activities. 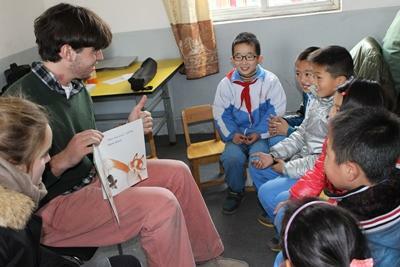 Projects Abroad works with kindergartens in and around Shanghai. Here volunteers will be able to assist local teachers with all kinds of educational activities, such as arts and crafts, reading, and writing. There are normally between 40 and 50 children in each class, so any help that you can provide will be greatly appreciated. During the summer months and in February when the kindergartens are on break, we arrange summer classes for local children. Your role will be to help organize activities for the children and provide them with additional support. Volunteers also have the opportunity to work at centres for disabled children. Volunteers help with support and care offered to day visitors, accommodating both young children and children up to the age of twelve. The centres provide physical rehabilitation, education, and nursing care for many children. Both physically and mentally stimulating exercises are used to improve the children’s capabilities and lead to a healthier life. You can read more detailed information about the aims of the project in our China Care Management Plan. Although some of the staff at the Care projects speak only a basic level of English, the enthusiasm of both the staff and children ensures that you will be able to make yourself understood. Both the Projects Abroad staff and your supervisor will always be available to ensure you make the most of your time in China. If you are a high school student and first-time traveller you may want to consider our High School Special programs in China.